Every day when he awakens and heads to the gym Dr. Ira Meyers reminds himself that it is a privilege to run. The allure of running is that it can be done anytime, at any place and with or without others. 1974 marked the beginning of competitive running for him with the appeal of competing against oneself, the other runners and the clock. Raised in New York, Meyers led his high school team to a state championship in cross country. Individually he was 2 time All State in cross country. After high school, Meyers attended The College of William and Mary where he attained All East honors in cross country and set the school record in the 10,000 meter run. In the 1981 Maccabi Games, he ran in the 10,000 meter run and the half marathon. He won a team gold medal in the half marathon. Following college, Meyers attended The Pennsylvania College of Podiatric Medicine. During that time, he continued to compete and won the Metropolitan 10k, The Brooklyn Half Marathon twice, The Queens Half Marathon, The Long Island Marathon, and The Philadelphia Independence Marathon. When he launched his podiatry career in1988, the goal for all of his patients who were runners was to, “Treat So You Can Compete”. Meyers running background attracted a multitude of runners with all levels of running ability. Over the years he has had the privilege of working with several winners of The Broad Street Run, over a dozen sub-4 minute milers, several high school state champions, several collegiate All Americans, including several NCAA champions, and both a silver and bronze Olympic marathon medalist. 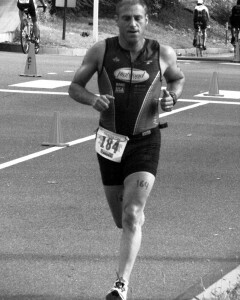 In 2007, Meyers switched gears and started to compete in triathlons. Although he still struggles with the swim portion, he found biking to be a great new challenge. He has obtained USAT All American Age honors several times. Being an experimental athlete, Meyers is also a Black Diamond skier. While he enjoys golf, he really thinks the best use of a golf course is for running cross country!